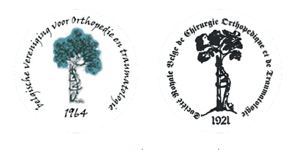 On behalf of the BVOT and the SORBCOT, it is a great pleasure to invite you to participate in the Orthopaedica Belgica 2019 Congress which will take place in Oostende on 25 and 26 April in the great Kursaal located facing the sea. The general theme we have chosen is “Complications in Orthopaedics and Traumatology”. This is of course a topic that concerns all of us regardless of our specialty and will allow to have plenary sessions and discussions on more specific matter. We wanted to associate with this organization all the Groups, Commissions and Societies of Specialties that revolve around the BVOT and the SORBCOT. Thereby we have gathered speakers among the best Belgian specialists and some prestigious foreign speakers to avoid or treat complications: shoulder, elbow, hand, hip, knee, foot, spine, paediatric, traumatology … all these topics will be discussed in common or parallel sessions. There will also be an Ethics and Economy meeting and free communications from ABAOT and BOTRA. Oostende is a beautiful city to host this event. Your companion (or yourself) can enjoy your stay to visit attractive museums, go shopping or walk on the beach or the port. You will be invited on Thursday evening at the Gala of the Congress which will be anything but stilted: a walking dinner dancing in the very special setting of the Racecourse of Oostende.